Notebook Specifications: Universal to all types of writing/drawing instruments, however, specially tailored for fountain pens. 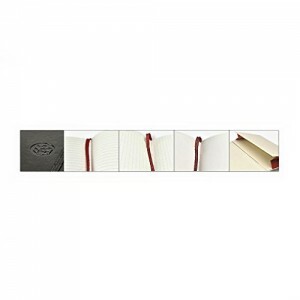 Medium: 5.25 W x 8.25 H (inches) Paper option of lined, gridded, or blank pages. Notebooks all have 120 leaves (240 pages).